Don’t tell Bruce Haffner it can’t be done. Let’s start with his years as a student and fresh out of ASU, when everyone wanted to be part of the newest craze; the Music Video. There you found Bruce Haffner, helping produce an MTV-style show showcasing the likes of U2, B.B. King and Rod Stewart. So what do you do for an encore? If you’re Bruce Haffner, you start an entire new career – as a helicopter pilot. And not just any helicopter pilot. 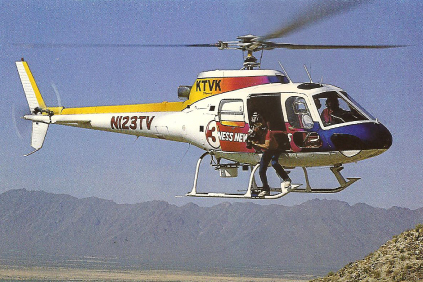 Given his news experience, Bruce became the highest profile news helicopter Pilot/Reporter in Arizona and one of the best-known in the country. But things change, the economy slumps, and you have to adjust your dreams, right? Not necessarily, especially when you’ve been reaching your goals all of your life. 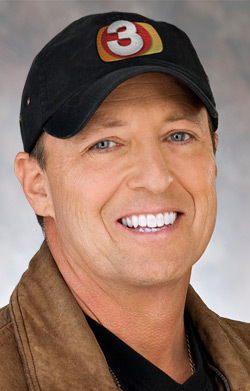 In 2009, Bruce saw his career change dramatically when the TV station he worked for sold its helicopter. Career over? No way. In 2011, Bruce got his own helicopter and launched Chopperguy, providing top quality aviation video production and news coverage. These days, he is back in the air for the “Good Morning Arizona” newscast and his company is busy shooting aerials for production companies, ad agencies and already have their first movie credit on the big screen. Stay tuned. You never know the challenge Bruce Haffner might take on next. Bruce is married to TV Host, Lisa Haffner, of Your Life A to Z on KTVK TV3. They have four children and can be found skiing, snowboarding, dirt riding, camping and playing sports. If you have any questions or would like to know more about Chopperguy contact us today.